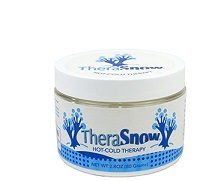 Magnetic Therapy Putty that has a gentle feel and a gentle magnetic touch. 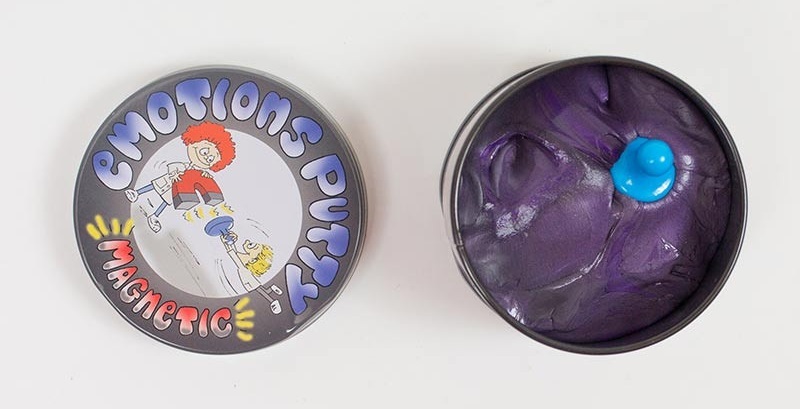 A rich purple color medium strength putty. 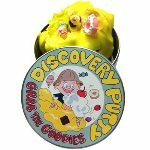 Mold, stretch, pull and squish to build hand strength and fine motor skills. It is also magnetic! The putty can pick up small metal items like paper clips and coins. 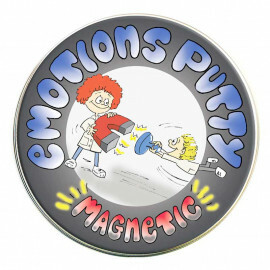 Use the putty with the additional included magnet to feel gentle magnetic pull. Makes for a fun and engaging classroom tool to teach science in action. Medium resistance. Packaged in a convenient storage tin that’s easy to toss in a backpack or purse. Ideal for speech language therapy, occupational therapy and psycho-emotional therapies, plus home and class activities. Not for mouthing or chewing. Safety-tested. CPSIA compliant. Use with adult supervision. *CHOKING HAZARD - Small parts. Not for children under 3 yrs. Adult supervision required. Age 5+.